page maintained by: Dr. Nicolas T. Courtois. Events advertised at this page are typically open for guests from outside UCL. Christopher Ingold Building XLG1 Chemistry LT 16h30-19h00 Blockchain event with DFNITY Wings Timo Hanke Dr Courtois etc. Tickets are avail here. 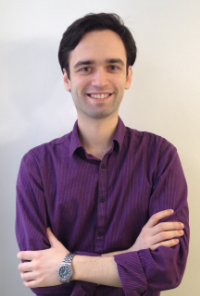 UCL Maths 105 12:00-14:00 Encryption and key exchange for anonymous communications and Tor, Dr Steven Murdoch, UCL. Visitors who are not UCL students should register. UCL Pearson bldg (North East Entrance) G17, Gower street, WC1E 6BT 14:00-15:30 Compact Confidential Transactions for Bitcoin (cf. paper / slides).